Armenia has never propagated endless peace in Karabakh conflict settlement process, Armenia’s Prime Minister Nikol Pashinyan told the reporters today. “Words are very important, we are not propagating endless peace. We are propagating peace in certain finite frame,” the head of the government said. Pashinyan stressed that the negotiations continue and the parties must be on the same frequency. “In case of necessity we change the frequency to bring our partners to the same frequency as the general spirit of our conversation is that we need to work on the peaceful settlement of the issue,” he said. 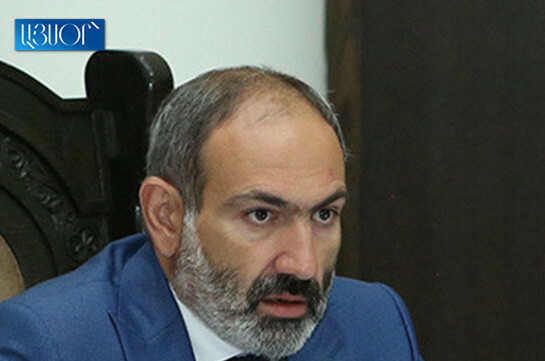 Pashinyan noted that the two parties are frank in their strives. “If someone tries to deceive the other at the table of negotiations, everything will fail, we will reach completely other point. We are not propagating anything endlessly. In general we do not propagate anything. We are not propagating peace, we are making proposals for creation of certain platform for the settlement of the issue,” the head of the government said. He said there are both way of peace and way of war. “We have stated that we are not frightened by war. There is no need to frighten us with it. We are not doing it. Let’s decide whether we will settle the issue on the platform of peace or not,” Pashinyan said, adding that any reasonable person must try to solve the conflict on the peace platform. “In the opposite case, what is the sense of the negotiation process?” the premier stated. Asked whether the situation over Sanasaryan will not influence on the rating of the revolution, the NA speaker said, “In any case, the revolution’s rating will only grow, this is all I will say. Please do not ask me about it anymore,” Mirzoyan stressed. 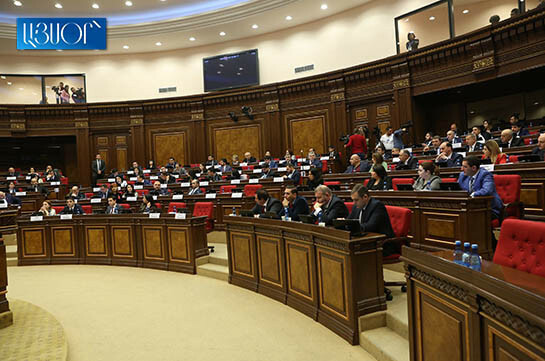 In his message Armenia’s president expressed conviction that the further development of relations between Armenia and Ukraine stem from the interests of the two countries and peoples. Prime Minister Nikol Pashinyan congratulated Volodymyr Zelensky on his landslide victory in Ukraine’s presidential election.